A simple country maid, Priscilla (Mary Pickford), whose desperate need for love and acceptance causes her life to spin rapidly out of control, finds her boyfriend (Mack Sennett) injured and dying. But death has an unexpected gift: her undeserved redemption. 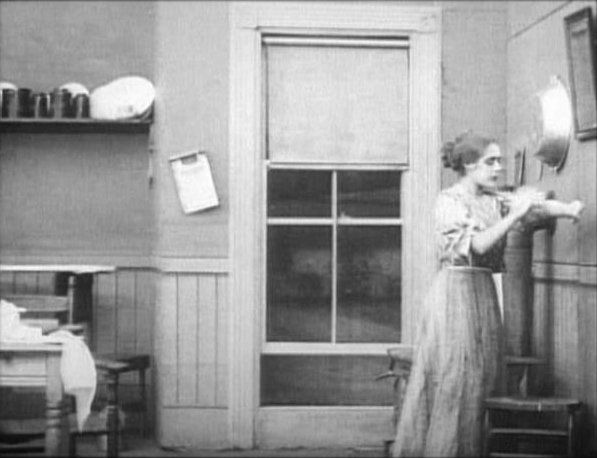 An Arcadian Maid (Biograph, released Aug 1, 1910; author Stanner E. V. Taylor, director D. W. Griffith). 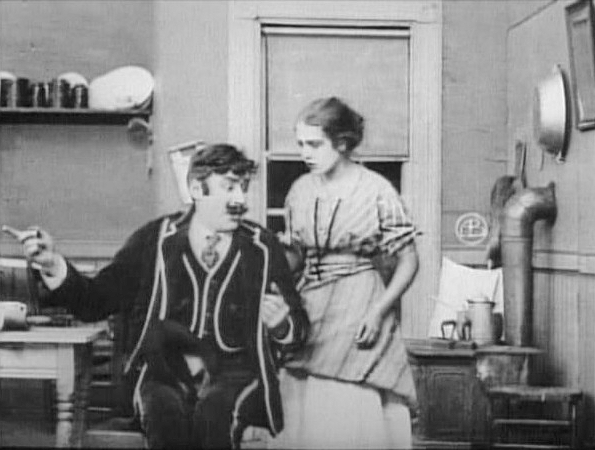 Although recent years have brought a renewed interest in silent film among general and niche audiences, and redoubled efforts at preservation and restoration of our film heritage, the emphasis has been upon silent features and comedy short film. 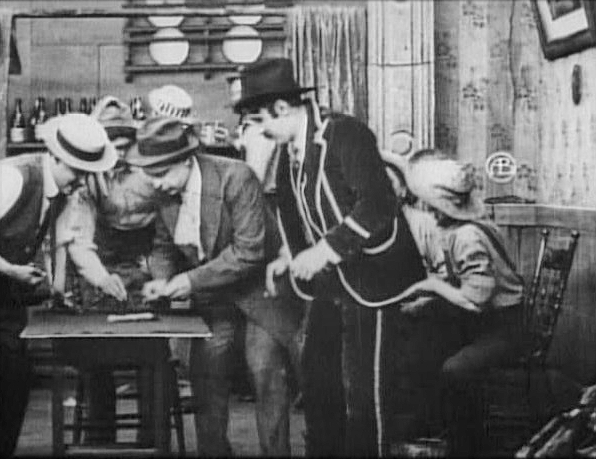 The single reel drama tends to be left out of the discussion when silent and early film is the subject. 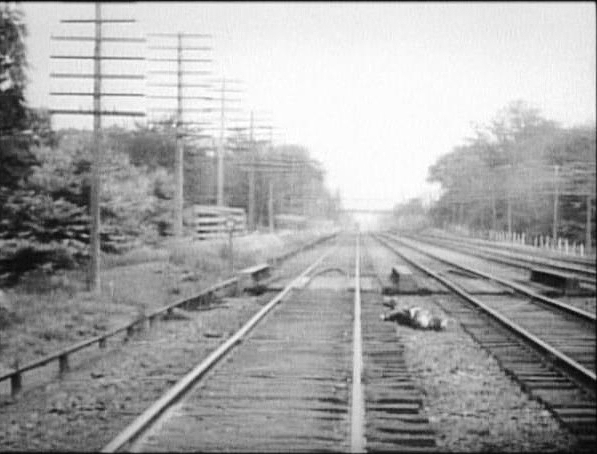 A recent Library of Congress report on the survival rate of silent feature films claimed that films produced before 1912, i. e., predating the era of feature film, actually had a better survival rate than the later, feature films because earlier films were copyrighted by means of “paper prints” deposited at the Library of Congress. Although this was not a conclusion supported by data within the survey itself, but only anecdotally, the effect was to ignore the fact that films from the “Nickelodeon era” (an inexact phrase not broadly applicable to early, pre-feature films) suffered a far higher rate of loss, not simply because they were “older,” but due to a number of other factors such as the method of sale of film by the foot, rather than rental, that was practiced by the early film industry throughout most of the period prior to features. 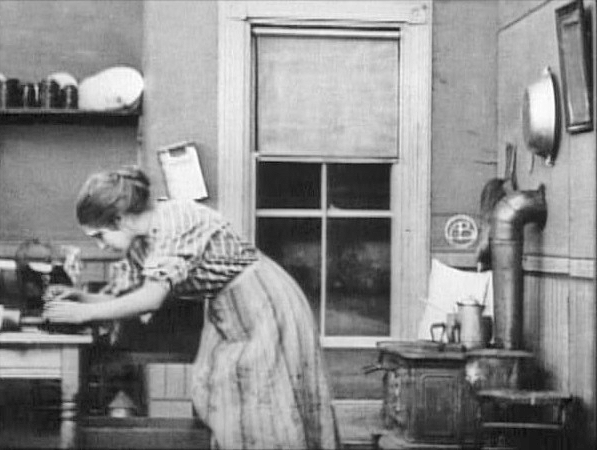 Among the film producers of the single reel era, only Biograph and Edison consistently copyrighted their films via the paper print method, and only Biograph did so for each frame of every film they produced prior to the change in copyright law in about 1912. Other major American producers were plagued by fire, including Edison, Vitagraph and Kalem and Lubin, among the licensed producers, and very little of the entire output of the latter three companies exists today. Biograph stands virtually alone in having a high survival rate. This good fortune for one entity out of an entire American industry does not warrant the easy dismissal of the condition of the remainder of our early film legacy, as the LoC report seemed to suggest, at least in my reading of it. 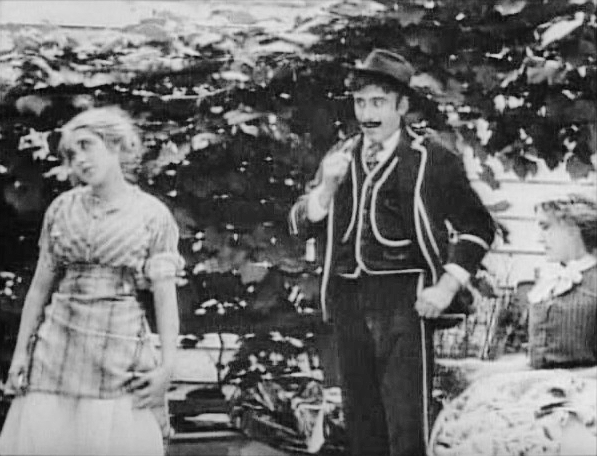 One of the least appreciated gems of single reel drama from the early film era is An Arcadian Maid, from Biograph in 1910, directed by D. W. Griffith from a story by Stanner E. V. Taylor, featuring in its cast Mary Pickford and Mack Sennett. 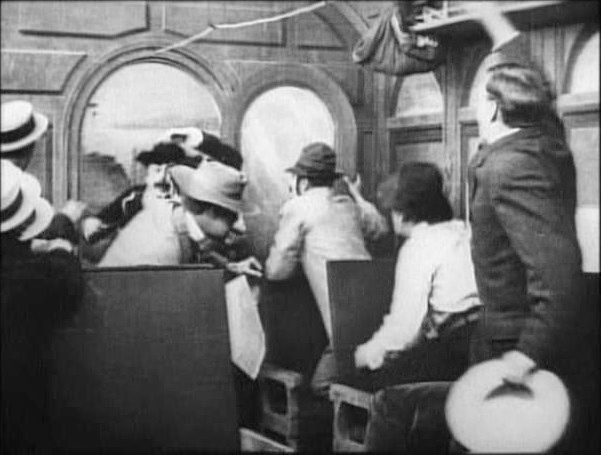 The film is important in virtually all relevant elements: in its cinematography, construction, direction and in the acting, most notably by Mary Pickford. 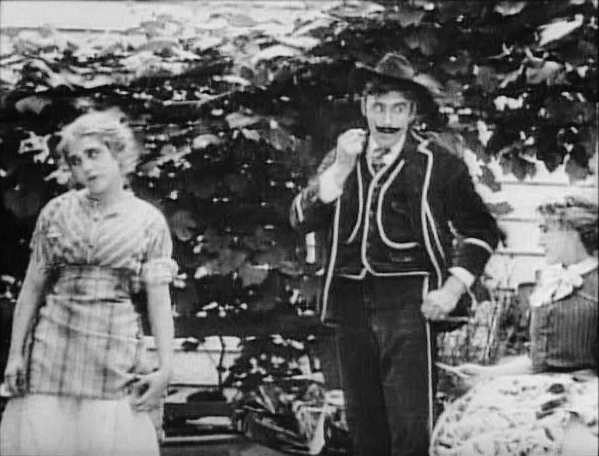 By 1910, D. W. Griffith was permitting his actors to utilize the verisimilar method, an approach that generally eschewed standardized gesture of classic stage melodrama and also kept pantomime and miscellaneous gesture at a minimum. 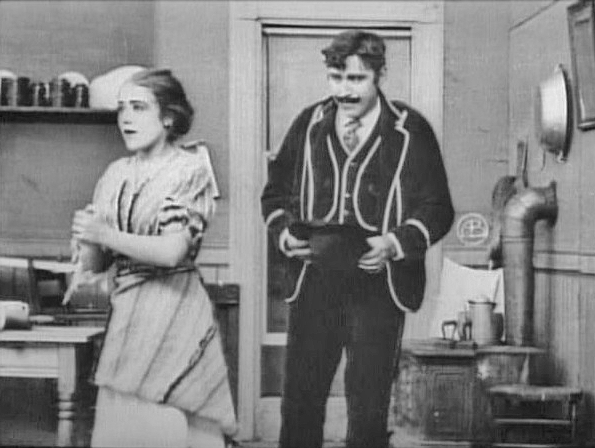 Prior to at least mid 1909 and the departure of Florence Lawrence, Griffith had not allowed actors to engage in “slow acting.” In the “slow” or verisimilar method, actors could portray the emotions of their characters in real-time, as in real life, and not use standard gestures or pantomime as short-cuts to save time, and film. And in the era where film was sold by the foot, the use of excess footage, whether raw stock or finished film, was not something regarded lightly by film producers, particularly at the ultra-conservative Biograph. 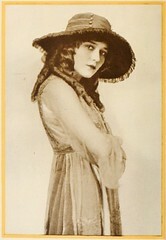 One of the first beneficiaries of this new allowance by Griffith and Biograph was Mary Pickford. Hired at Biograph by D. W. Griffith shortly after her seventeenth birthday, Mary Pickford had played during her first few months primarily ingénues and comic roles; lead dramatic roles came gradually, and accelerated with the departure of Lawrence (July 1909) and Marion Leonard (April 1910), the two primary female leads at Biograph at the time Pickford was hired. Those parts requiring more extremes of characterization came as she developed her craft through what seems to have been an instinctive or, better yet, an intuitive understanding of what was required for effective motion picture acting. 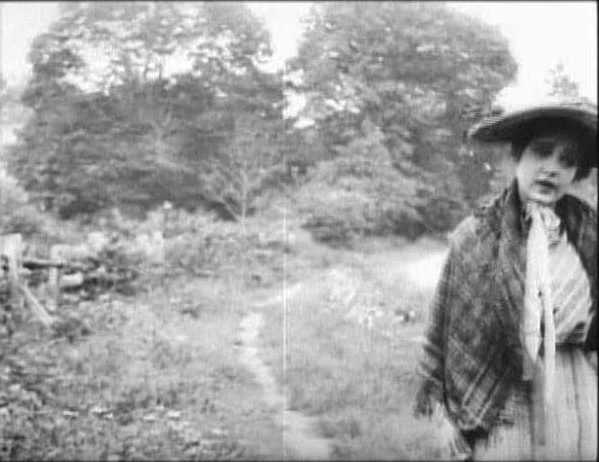 Her performances in The Broken Locket (released August, 1909) and Ramona (May 1910) gave but a glimpse of her precocious capabilities. 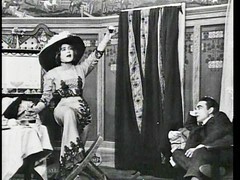 In An Arcadian Maid, she would play as a dramatic lead what would have been considered previously a “character” role on stage, or in early film. 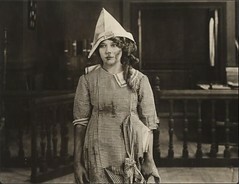 It would also foreshadow much later Pickford performances in “character” leads — in feature films — as Unity in Stella Maris (1918) and Amanda Afflick in Suds (1920), both from her own production companies. 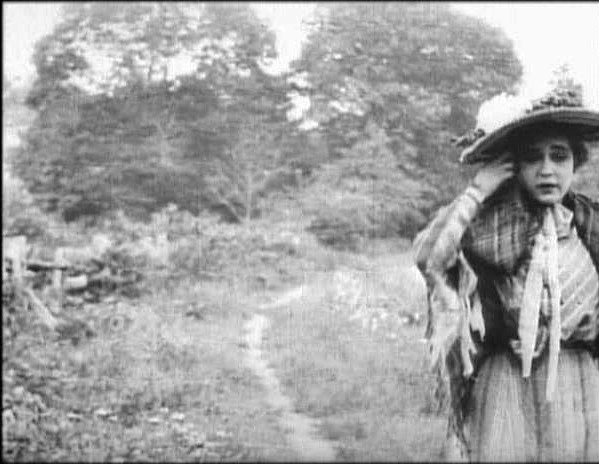 Filmed in rural Westfield, New Jersey, and at the New York studio on East Fourteenth Street during three days in late June, 1910, An Arcadian Maid was released to exhibitors on August 1, 1910 at a finished length of 984 feet. 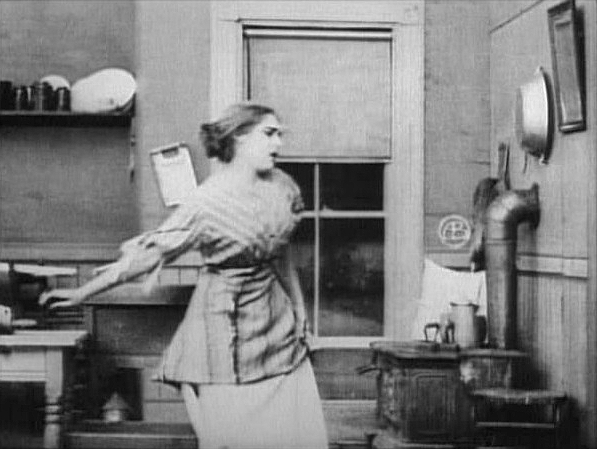 With a run time of between 12 and 14 minutes depending, of course, upon projection speed, An Arcadian Maid successfully conveys as much narrative information as a modern one-hour television production. 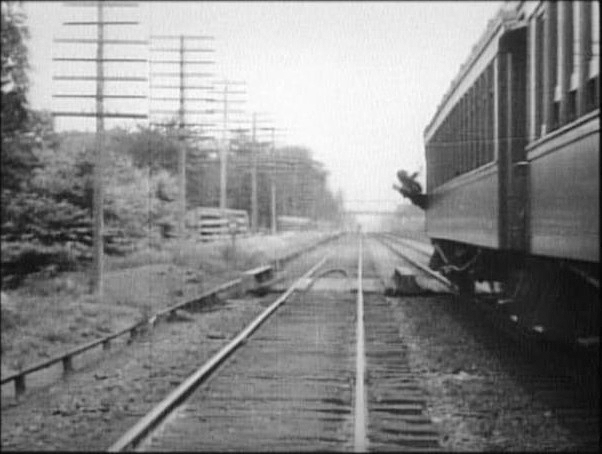 It does so without dialog intertitles (which were rare in 1910), and with only a spare seven intertitles in total, from opening to closing shot. 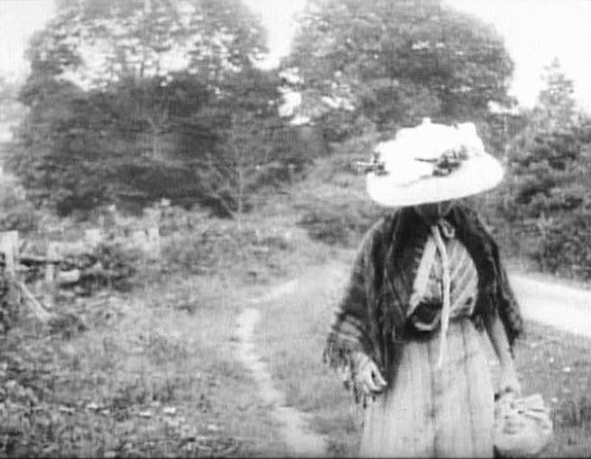 A young woman, Priscilla (Mary Pickford), trudges wearily along a country road, alone and looking for work, her face hidden by her hat until she wipes her brow. 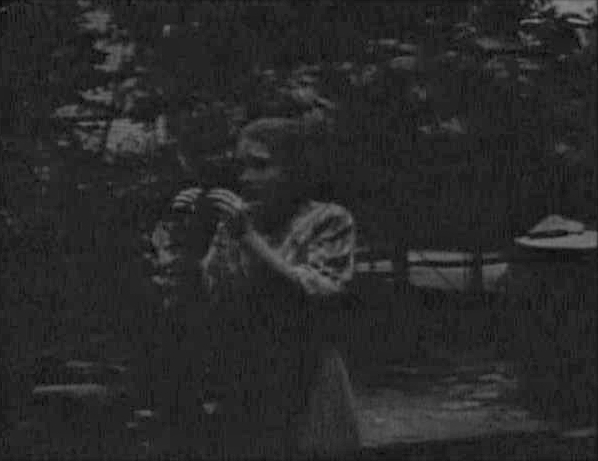 She stops for a moment, then passes by the camera (a classic Griffith/Bitzer compositional device). Above and below, Priscilla’s journey — and our introduction to her — continues on a path bisecting a wheat field. 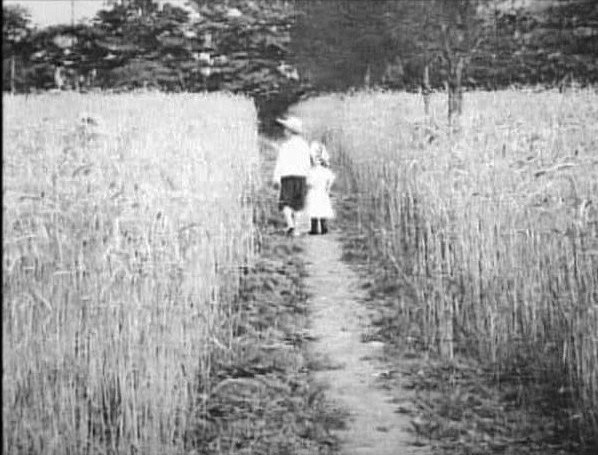 Biograph cinematographer Billy Bitzer’s lyrical shot follows two small children heading away from the camera, drawing our eyes to Pickford, emerging from the wheat. 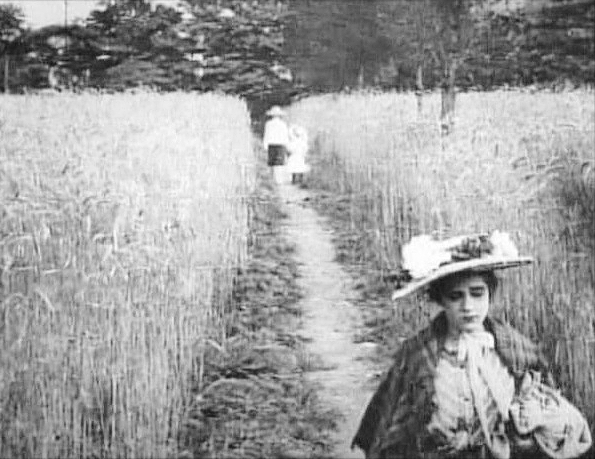 Sharp focus throughout the depth of field and orthochromatic film stock (which darkens the red spectrum) give us a sense of texture among the fields of grain, adding character and contrast to the children and the face and figure of Pickford, again coming toward, then passing the camera, persevering in her search. In just the first two shots of the film, Griffith has established the weary and empty life of the girl, Priscilla: a characterization already emerges that allows us to understand her actions in the next sequence of shots. 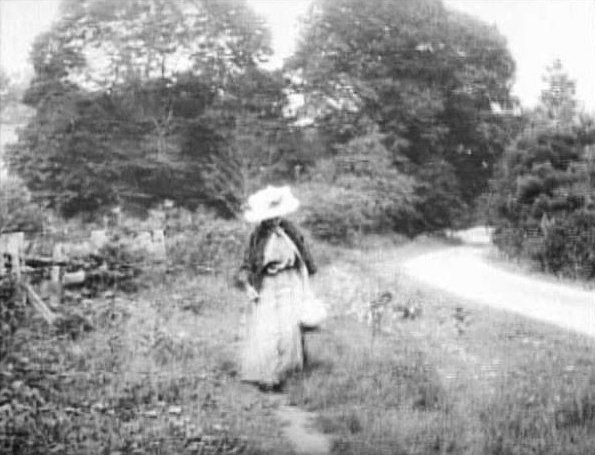 Such economy in filmmaking was essential to effective storytelling within the unforgiving limits of the single reel format, and by mid 1910, Griffith was its master. Priscilla arrives at a farmhouse, inquiring about the possibility of work. 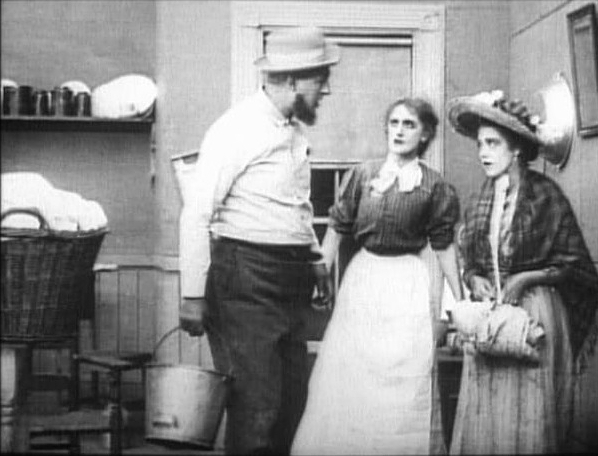 She shows the farmer’s wife (Kate Bruce) that she is strong-armed, capable of work of all sorts on a farm. Below, Priscilla passes inspection by the farmer (George O. Nicholls), and is hired. She curtseys in deference and in thanks, a gesture that we will see is characteristic of the self-effacing girl. 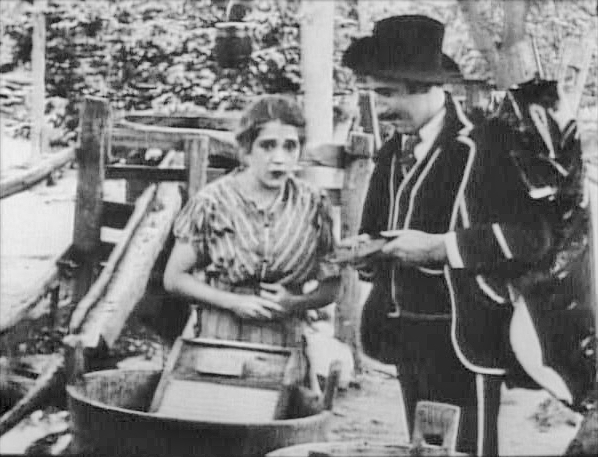 Above, at left we see the travelling “Italian peddler” (Mack Sennett). 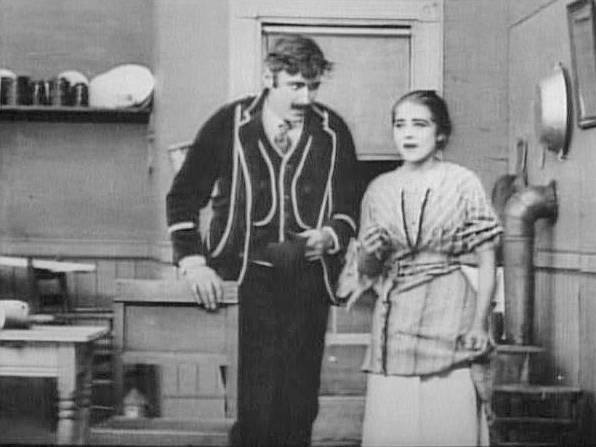 Griffith introduces the character on the same paths as Priscilla, contrasting the shy, weary maid with the gregarious, carefree peddler. 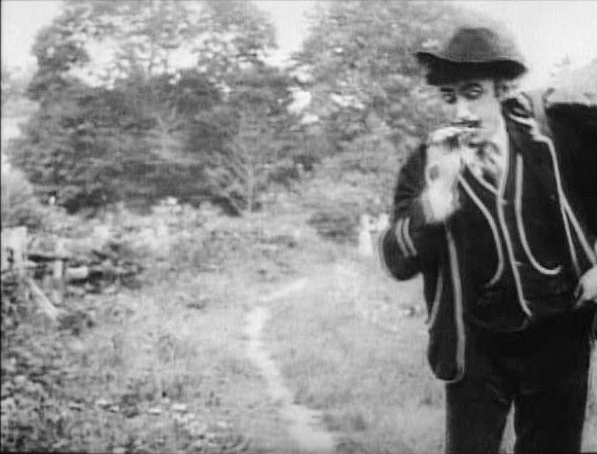 Below, as the peddler (whose jaunty manner, mustache, cigar, floppy fedora and garish suit indicate that he is “Italian”) ambles through the same wheat field, smoking his cigar, Priscilla begins work at the farm, putting her muscle into the laundry, not yet noticing the approach of the peddler. Above, Priscilla is startled, then turns to scan this strange creature, unlike any man she has encountered. He asks to be introduced to the lady of the farm. As he leers at the maid, she takes him to her mistress, the farmer’s wife to whom he displays his wares: bolts of cloth. Priscilla can’t help but stare at the stranger and his alien ways. 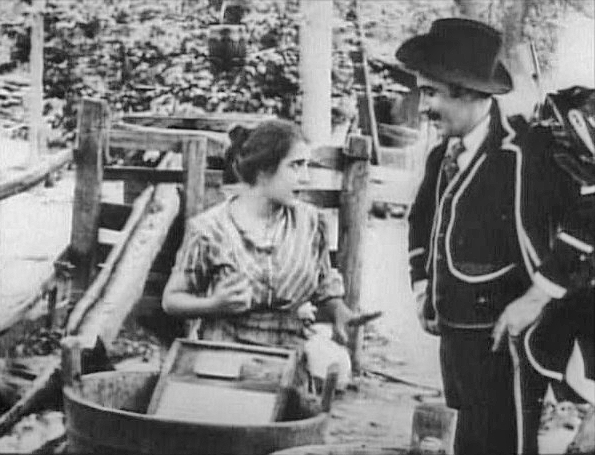 As the farmer’s wife inspects the goods, the peddler eyes Priscilla, who tries to ignore his stare. Returning to her work while the peddler and farmer’s wife haggle, Priscilla can’t help but wonder about this strange man. But . . . there IS something fascinating about him and it stirs within her unusual feelings. After completing his sale, the peddler stops to see Priscilla again and to thank her. He offers her a gift: a selection of rings. 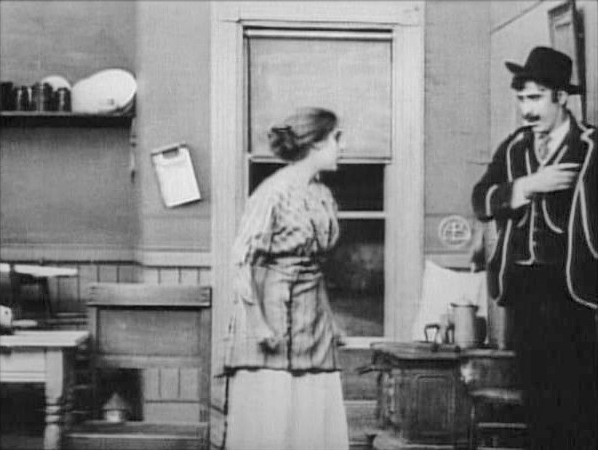 The naïve maid is taken aback by the gesture; the peddler asks her to choose one. Above, Priscilla first wipes her hands clean, then chooses one of the rings. The peddler gently slides the ring on her finger. Priscilla curtseys in thanks. She is stunned by the perceived act of generosity of the peddler, who in reality has just given her a cheap, nickel-plated ring. The peddler gives her a simple kiss on the cheek, Priscilla is overwhelmed. The peddler tells her to meet him later that evening outside the farm, then bids her good-afternoon. Priscilla struggles to comprehend what has just happened. Priscilla, who may never have experienced affection from a man, and who lacks self-esteem, ponders the possibility, heretofore remote, that an interesting, attractive, exotic man like the peddler just might be attracted to her. Dismissing the thought, she throws herself immediately back into her work, scrubbing . . . only to remember to remove the precious token, the ring, and secure it inside her blouse. 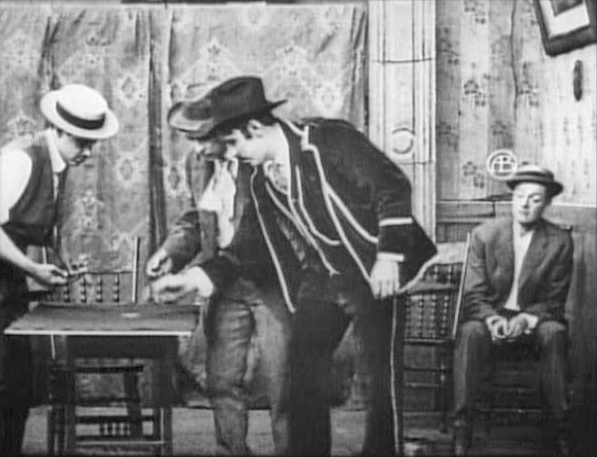 The peddler spends the afternoon at a bar, gambling with his money from his sale. Below, At the farm-house, Priscilla prepares for her evening rendezvous with the peddler. She uses the reflection from the bottom of a kettle hung on the wall to check her appearance. Priscilla arrives at the arranged meeting place, on the edge of the wheat field; joined shortly by the peddler. 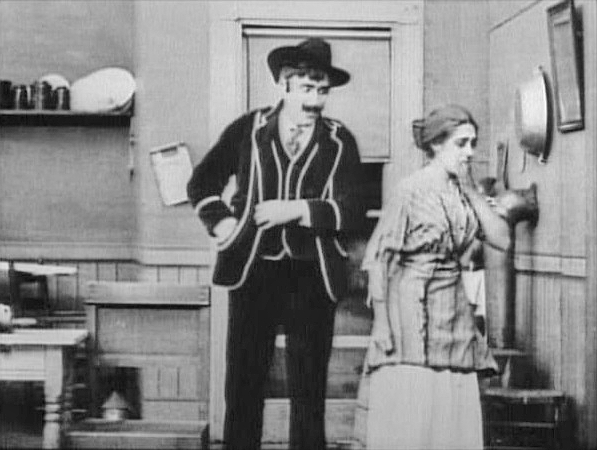 Although there is no clear indication in the intertitles, it appears that the peddler is trying to convince Priscilla of his serious intentions toward her; she makes a gesture that indicates she hasn’t forgotten his earlier kiss . . .
. . . and rather boldly asks if he’ll repeat the act, this time on her lips. Not needing to be asked twice, the peddler complies; Priscilla is dazed. When he attempts another kiss, Priscilla warns him not to persist . . . at least not yet. While we are not clear on the meaning of the peddler’s “five-finger” gesture to Priscilla (this is the second time it appears, the first was after he gave her the ring), they have apparently agreed to meet again. Priscilla watches him leave, then bounces happily along the fence, quite pleased with the evening’s encounter. 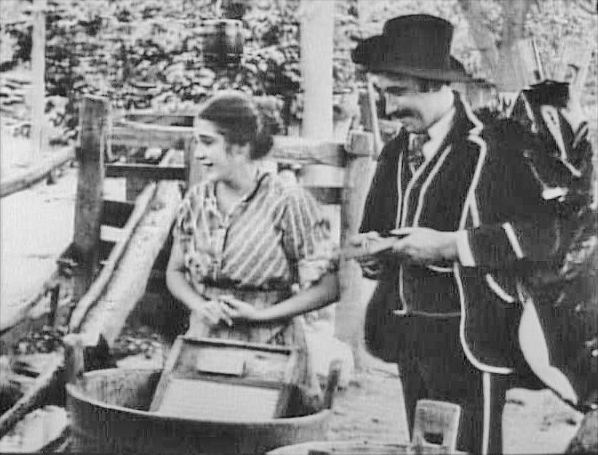 The peddler continues to gamble away his money; Priscilla takes note of the cash the farmer and his wife store in an old sock . . . 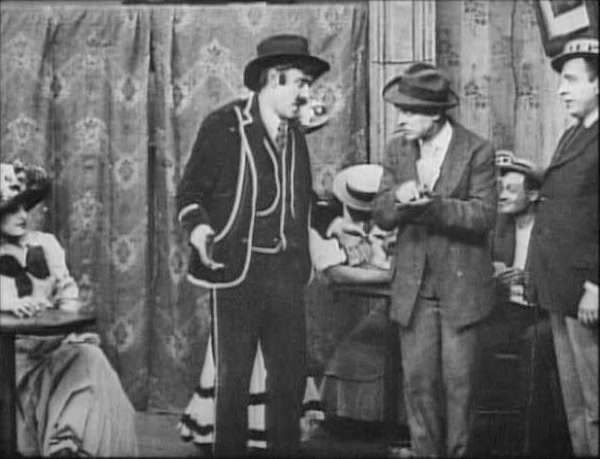 The peddler is confronted with his gambling debts by his fellow gamblers who demand immediate payment; the farmer and his wife take the cash-filled sock and tuck it underneath their mattress. Unexpectedly, the peddler arrives at the farm-house the next evening with bad news. He is deeply in debt and has no way to repay it, unless . . .
. . . Priscilla could loan him the money. She indicates she has none. He asks if the farmer has money. While it is not entirely clear at this point if he is suggesting she borrow or steal from the farmer, either way, Priscilla blanches at the prospect. 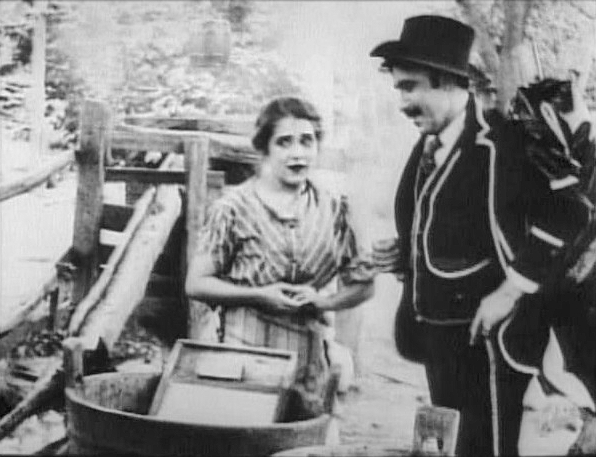 The peddler plays on her sympathies with tears. But . . . he has a proposition for Priscilla — he wants to marry her. All she needs to do is take their money, meet him at the train depot and they will leave together to become husband and wife. She does not immediately recoil, but listens, absorbing the proposal of marriage. Priscilla turns over in her mind the possibility — no, the actuality — that this attractive, fascinating man wants her as his wife. She agrees to marry. She enters the bedroom of the farmer and his wife, reaches under the mattress and takes the sock filled with money. Handing him the money behind her back, not being able to face the “transaction,” she begins to realize what she has done. But with a quick kiss and a promise to meet at the edge of the wheat field, the peddler is gone. No sooner does she close the door than she is hit full-force by her actions; reaching to her chest, she instinctively clutches the cross and rosary suspended from her neck. We realize by her reaction that Priscilla does have basic values from a Christian upbringing, and that she knows that the act she has just committed is a grievous sin. She is filled with disgust and self loathing. Arriving at their rendezvous point at the edge of the wheat field, Priscilla waits for him anxiously. He is already at the depot, boarding the train with the money, but not his bride-to-be. As the minutes pass like hours, weariness returns to Priscilla. 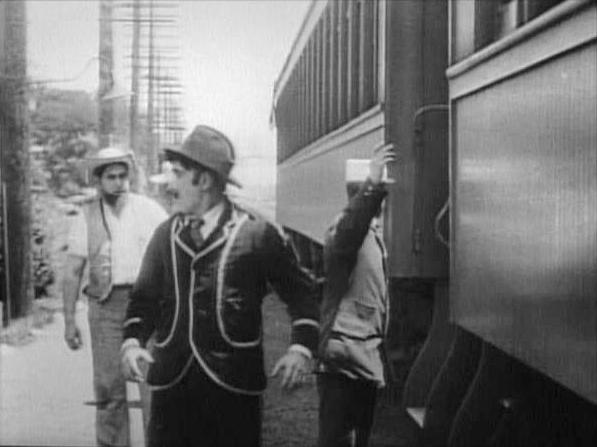 She is startled by men coming from the direction of the railroad station, and asks them if they’ve seen the peddler. They have. He’s long gone. They laugh at the pathetic maid. She is distraught. There is no turning back for Priscilla. She can do nothing but run in his direction. 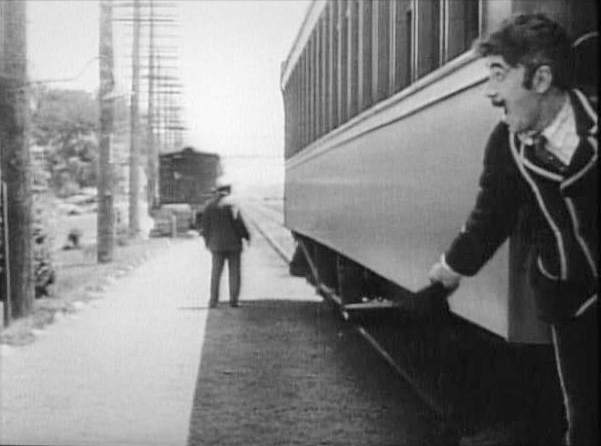 As Priscilla chases the train, out of her mind, the peddler has gotten drunk and into a fight with the passengers who, having had enough of the peddler, toss him from the train. 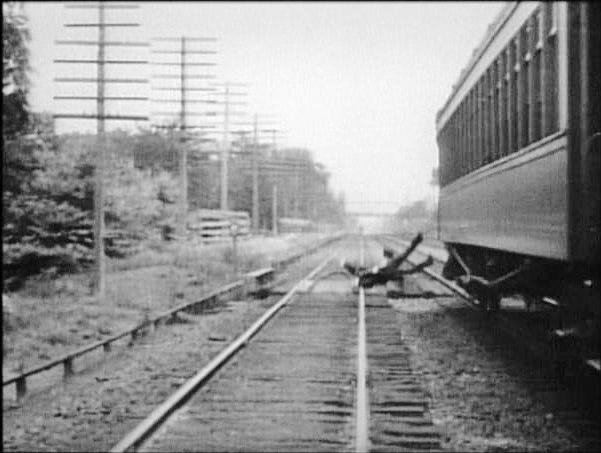 The peddler lands headfirst on the rail. 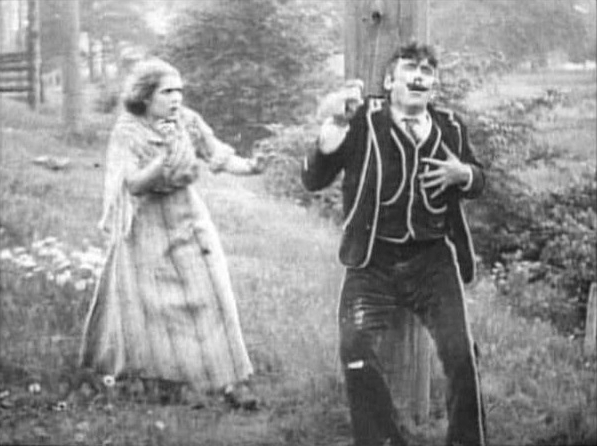 Somehow, he staggers to the wayside, severely injured, propping himself against a pole. Priscilla has found him. Her initial rejoicing turns to horror as she sees his condition; he recoils at her touch. Apparently blaming her for his misfortune, he tries to attack her, but his wounds are mortal and he dies at her feet. 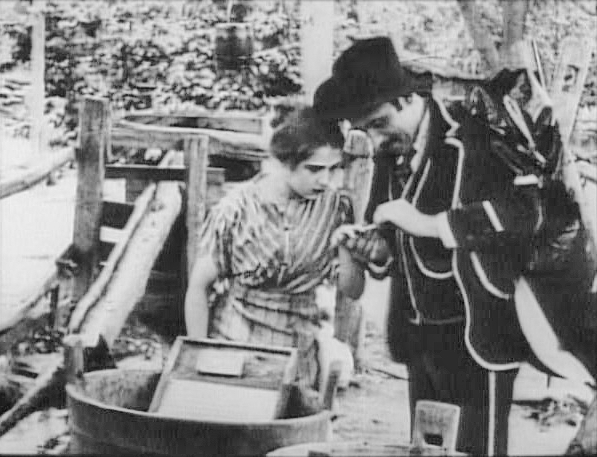 Priscilla instinctively looks for the cash-filled sock and finds it on the peddler’s body. She realizes that everything she has done since meeting the peddler has produced this hellish climax. She can only return to the farm and, before they wake, return the money she has stolen. Miraculously she finds the farmer and his wife fast asleep and is able to make amends undiscovered. Priscilla is relieved, but filled with guilt. She reaches toward the table, finds the cross she had left, and steps outside into the night. Placing the cross around her neck, she nearly begins to weep, then facing the talisman, she begins to speak to it, in prayer. 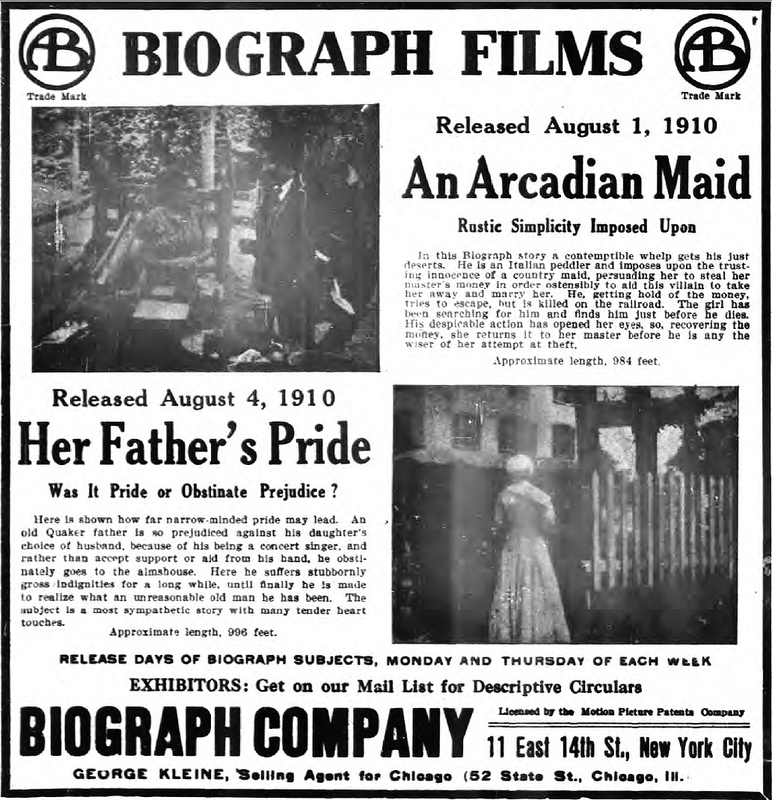 An Arcadian Maid is an important film from the era of the single reel drama. It is remarkably effective in those elements mentioned previously, but not elaborated upon. Here is the elaboration, succinctly. Billy Bitzer’s use of “deep focus” — maintaining focus throughout the depth of field — preceded by at least three decades its vaunted use by Gregg Toland in Orson Welles’ Citizen Kane (1940). 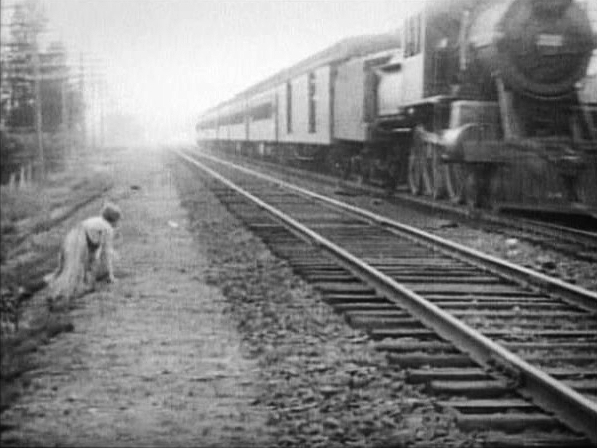 It can be seen not only in the lyrical opening shots, but in the discourse between Priscilla and the peddler at the laundry tub and Priscilla’s manic chase of the train as it departs with her love. 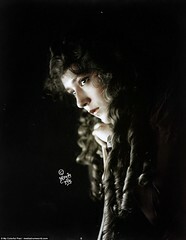 Also quite unremarked upon generally is Bitzer’s ability to take full advantage of the unique and peculiar characteristics of the orthochromatic film stock of 1910 (as already discussed earlier for the first two shots of the film), and in the exposure for the “night” exteriors, still effective in an era long before “day for night” photography was feasible, and without “night” tinting. 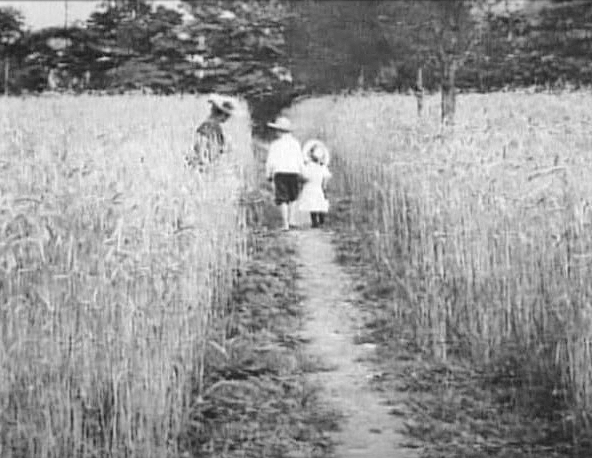 Although night tinting may actually have been used in the original prints for the night rendezvous in the wheat filed after the theft, apparently it was not used in the final three scenes of the film, all of which take place at night. At least one contemporary reviewer, The New York Dramatic Mirror (August 13, 1910), thought those scenes would have been more effective tinted for night. 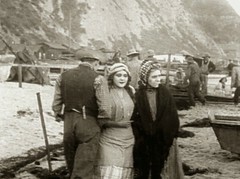 In the film’s construction, Griffith used parallel editing not merely for chase scenes (although he does with the wheat field rendezvous/train sequence near the end of the film), but for contrast between characters and their actions, in the introductions of Pickford and Sennett’s characters, in the industriousness of Priscilla scrubbing while the peddler drinks and gambles; in the opposite reactions of Priscilla and the peddler after the “theft,” and the use of recurring settings: the country road, the wheat field path, the fence at the edge of the farm, the “rendezvous” point for the main characters. 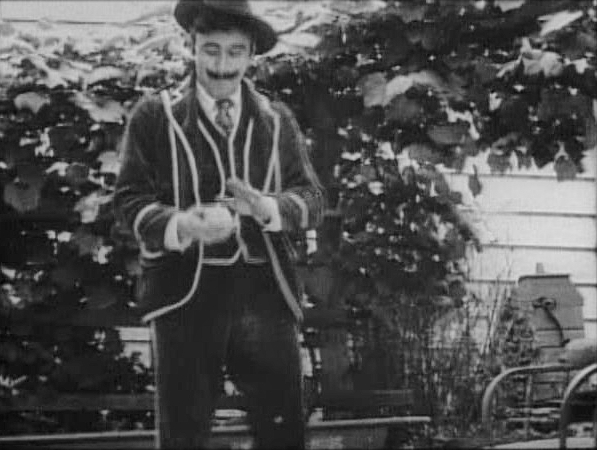 Also fascinating upon close observation are the little bits of “business” that Griffith gives the characters or allows the actors to create (and it is interesting to speculate which is which), such as Pickford’s shy curtsey, a recurring trait; wiping her hands before trying on the ring and her removing it and wiping it dry after having absent-mindedly kept it on as she resumed the laundry, and then placing it in her blouse; handing the stolen money to the peddler behind her back, and removing the cross and placing it on the table, again behind her back. Priscilla cannot face her actions, at least not until the peddler is dead. Only then, when she is able to recover the money and make reparations to the farmer, she does so facing their bed, and then faces the cross and God to whom she prays at the conclusion of the film, asking, we hope, for forgiveness. Archives of The New York Dramatic Mirror at fultonhistory.com, for The New York Dramatic Mirror. 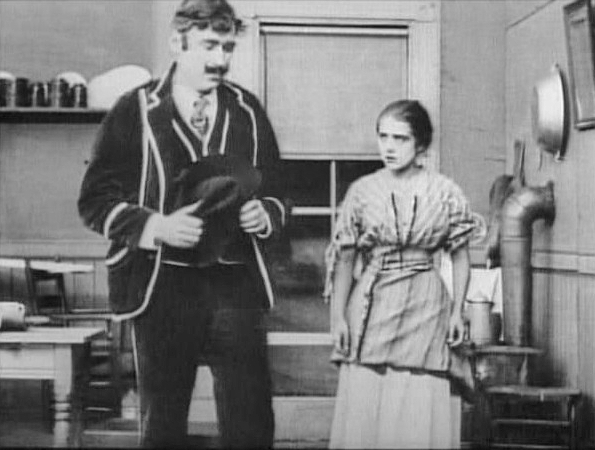 An Arcadian Maid, and eight other Biograph shorts directed by D. W. Griffith in 1910 can be found at Grapevine Video on their DVD, The Biograph Series, D. W. Griffith, Director – Volume #6 (1910). The still frames used in this article are from that DVD edition.